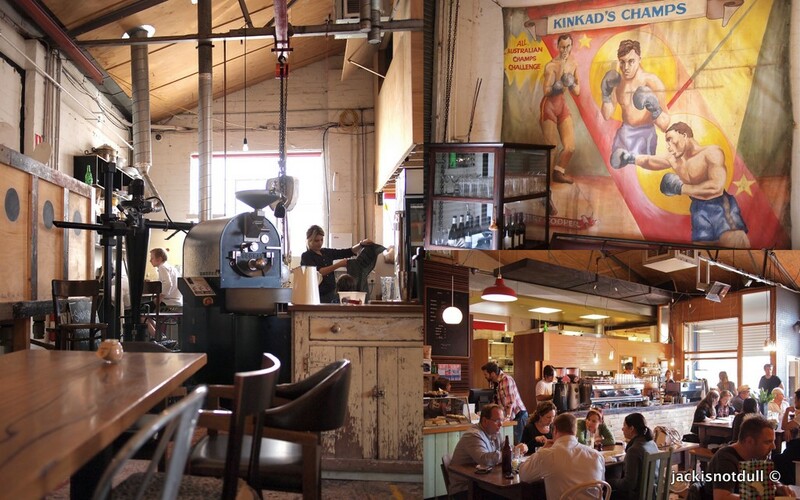 Our first port of call in Melbourne was St. Ali, a coffee mecca housed in a converted warehouse in South Melbourne. St. Ali’s reputation is founded on its incredible array of coffees. Paying homage to Ali ibn Umar al-Shadili, a 14th century mystic considered the patron saint of the coffee port of Mocha (in Yemen), the café boasts a mind-boggling range of beautiful beans sourced from all over the world. If you’ve always wanted to try Kenyan Tembo, Ethiopian Yirgacheffe, Tanzanian Kilimanjaro, Cachoeira Estate Yellow Bourbon or Guatemalan Finca El Bosque, St. Ali is the place to be. We were fortunate to have been invited to the “third wave” cult coffee roasters by owner Salvatore Malatesta’s business partner, Eleena, who is a family friend. A quick introduction from the effervescent Eleena explained the significance of being “third wave” roasters; the first wave was the rise of industrialised, instant coffee. The second is what we know today as espresso, all crema and body. And the third wave? That’s when the green beans are incredibly fresh – from this year’s crop – and drunk within four days of roasting. Furthermore, the beans must be sourced from a single estate, much like great wines issuing from a single vineyard. Put simply, it’s about appreciating the finer changes in flavour from diverse years, estates and methods. 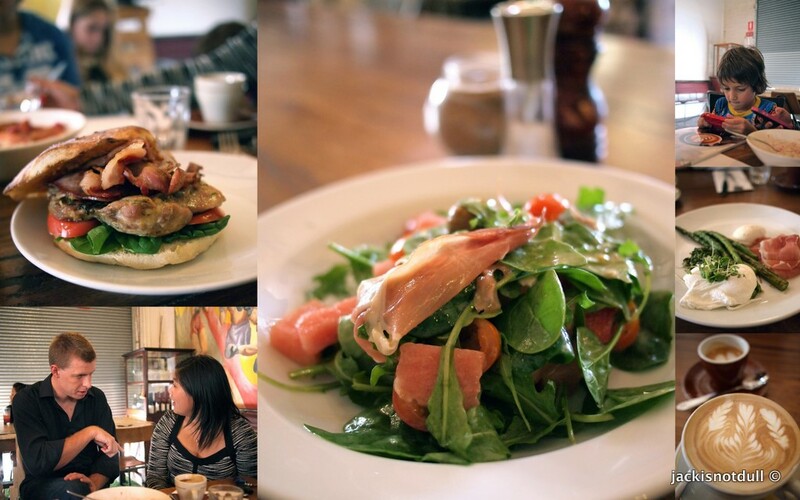 In addition to the incredible coffees that they serve, St. Ali also whips up a delicious and extensive middle-eastern inspired menu, served up by the friendly, attentive and ultra hip staff. And to top it off, we were introduced to Ross Quail (bottom left in above photo with Eleena), Head Roaster for Sensory Lab (under the St. Ali group). In addition to setting up and running coffee roasteries, the super knowledgeable and affable Ross has also been a judge of numerous Barista Championships both locally and abroad (he had just returned from judging a Siphon Championship). After a short introduction from Ross at St. Ali, he took us to their spacious roasting facility mere seconds down the road at “the green building” where the magic of coffee roasting begins. We also met the hardworking team at the roastery and was given a brief run-down of their operations that included viewing their large chiller set at a cool 14 degrees Celsius and containing over $30,000 worth of premium green beans. 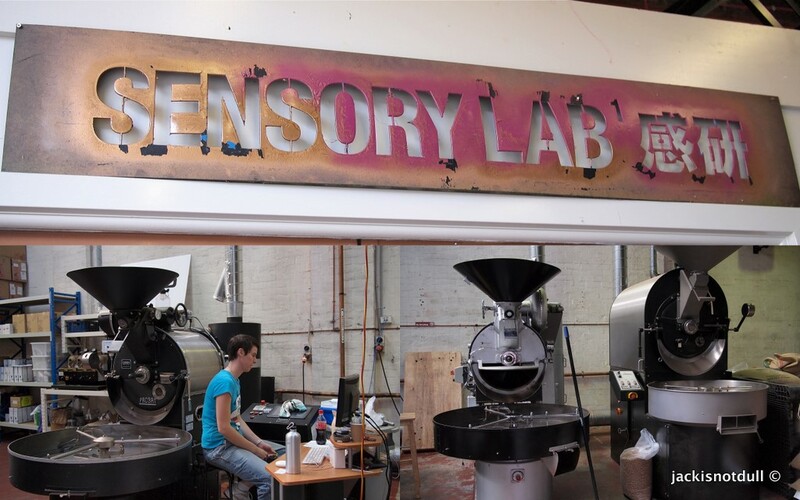 We then headed down to the city with Eleena to taste the fruit of their labour at St. Ali’s innovative brainchild, Sensory Lab. Sensory Lab @ David Jones on Little Collins Street in the city is not so much a café as it is an experiential coffee concept store. The Lab offers 9 coffees (4 blends and 5 single origins) and 4 brewing methods (espresso, siphon, pour over and cold drip), encouraging customers to broaden their palates as well as their minds. Staff here know their coffee well and are more than happy to educate customers on the coffee beans available and various brewing techniques. You can also bag home your specialty coffee of choice ground to suit your preferred brewing method. 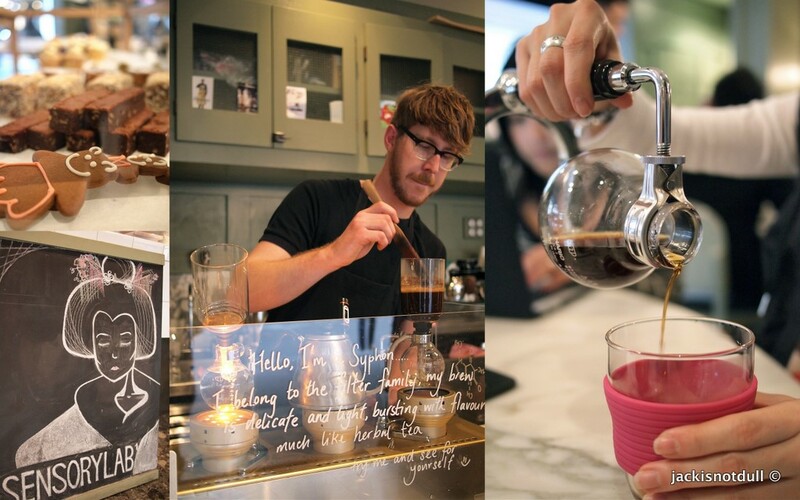 We tried the tasting platter which offered a combination of single origin coffees and 3 different brewing methods. The cold drip coffee using Honduras beans (single origin Cup of Excellence) was fruity, unique and very refreshing on the palate. We really liked the siphon coffee as well, and loved how the unique characteristics and floral aromas were enhanced after the coffee had cooled slightly. Much unlike the underground, organic and chill-out vibe of its sister café St. Ali, Sensory Lab is not a place to linger (both seating and food options are limited) and service is more hurried, but caffeinistas will love the very technical vibe and appreciate the glorious world of coffee made accessible and available to all right in the heart of downtown Melbourne. 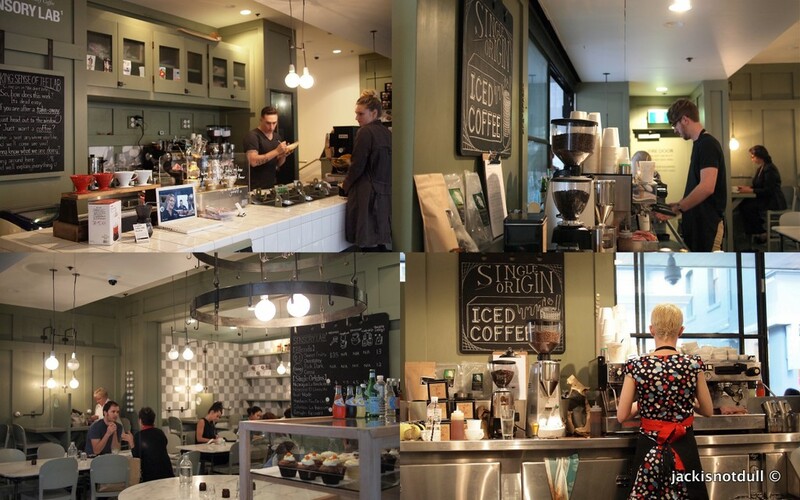 We can’t enough of the coffee culture here…lovin’ it!